The Humboldt University is associated with 41 Nobel Prize winners including Max Born and Albert Einstein in the Physics field and Theodor Mommsen for Literature. The Humboldt University is listed as one of the best European universities, and it is recognized worldwide for its influence in the field of Arts and Humanities. At the Humboldt University, students have many choices when deciding about what to study. The HUB offers distance learning courses and has an extensive Lecture catalog at the student’s disposition.The Humboldt University gives students three campuses centered in different fields of study: Campus Mitte is home to the Arts and Humanities, Law, Economics and Business Studies as well as Theology. Campus Nord homes the Mathematics programs and, Campus Adlershof is reserved for the Natural Science degrees. The Humboldt University of Berlin is organized into nine faculties and two independent institutes: the Centre for British Studies and the Humboldt-Innovation. Furthermore, the HUB counts with a Museum of Natural History. As far as Research, The Humboldt University of Berlin as part of the German Universities Excellence Initiative is one of the leading research universities in Germany. Their Research program is composed of 2 clusters of excellence, three graduate schools, five collaborative research centers and eight research training groups. The Humboldt University counts with 33,000 students, 11,000 post-graduates, and 3,000 doctoral students. The HUB university also offers German courses for those International Students who will like to learn the mother tongue of the country. In 2016 the QS World University Rankings placed Humboldt University 126th overall in the world. Its subject rankings were 27th in Arts & Humanities and 14th in Philosophy. Frankly speaking, I would definitely recommend this university to others. But keep in mind that ‘The School of Business and Economics’ of Humboldt University is very theoretical. If you want to understand how statistical models such as ‘Random Forest’, ‘Artificial Neural Network’ and so on, in general, work, then this is defintely the place to study. Professors’ possess a good command of English. So, international students will always feel comfortable studying abroad; in Germany. Overall, it is a good decision to consider this university, when deciding where to apply to. I studied at the HU campus outside the city centre in Adlershof, so I will review this part of the university. It is home to most natural science faculties. The area is well-reconnected and easily accessed from the south and eastern parts of Berlin. The campus is bright and tranquil, featuring modern buildings. Some, such as the Institute for Physics, are award-winning examples of sustainable architecture. The library in the Erwin-Schrödinger Zentrum is the centrepiece of the campus and one of the best in Berlin. It is well-stocked and spacious. You always find a place at a desk to study for your exams. This is in total contrast to the overcrowded Grimm-Zentrum library in Mitte. In the lectures there is also enough space to sit and in the tutorials you will probably be in a reasonably small group. With some exceptions the professors are good at lecturing in general, and are all accomplished scientists in their fields. The quality of the tutorials is generally satisfactory to excellent. They are the most helpful aspect of studying. There are PC Pools for each faculty, with computer facilities and free printing. I found the computers sometimes too slow though. There was free software provided, that was useful for the study programme. While I don’t have another experience of studying the same subject elsewhere, I am happy I studied there. In Berlin there is also an active local of a student organisation that I had the privilege to join, called AEGEE-Berlin. This is a large, interdisciplinary, Europe-wide organisation that is dedicated to forming young Europeans and raising our European consciousness in order to build a better world! AEGEE does this through a lot of amazing projects, the description of which would fall outside the scope of this review. But go check them out! Humboldt University is sufficient platform for international studies . There are lots of opportunities to realize your scientific research. Especially students appreciate the libraries which are placed in different areas of the city, which makes it easier to use, just choose the nearest to your place. Especially pleasant thing are buildings of the university, referred to an imperial time style. Most rooms are modern, with transparent malls, and multimedia support. The studying system is sometimes confusing. It consist of moduls and students are supposed to compose their schedule by themselves . Sometimes it could lead to term’s missings and longer studying, or coinciding subjects . Scheduling could be improved in general. Amazing elite university with a long history and academic traditions! 🙂 A wide variety of prominent scholars have studied and/or worked here. There are several campuses, one of which is situated directly in the centre of the city. Nearby is the outstanding Grimm-Zentrum — probably the largest library in Europe. The university has a lot of international partnerships, which allows its students to participate in various exchange programms. Both international and “native” students can get support as well as advice. One can only recommend this university! If you're the owner or representative of Humboldt University - HUB, you can claim this University and build a better profile. 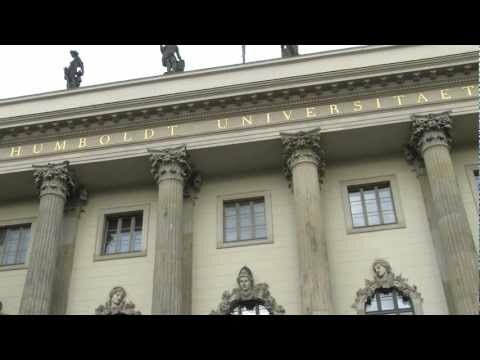 Interested in studying at Humboldt University - HUB?